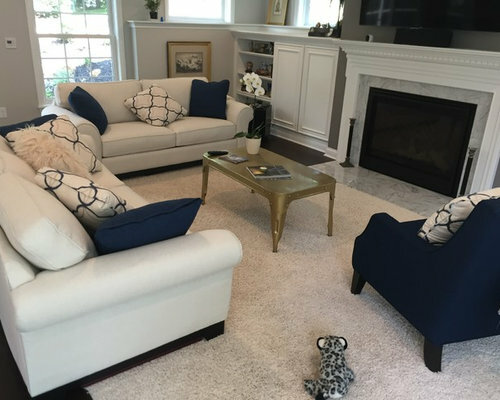 I have never worked with a client who had such a clear vision and understanding of what the end results of a project were to be as I had with this homeowner. To say she had a passion and knowledge of how this two-story addition to her 1967 Georgian Colonial was going to go is an understatement! 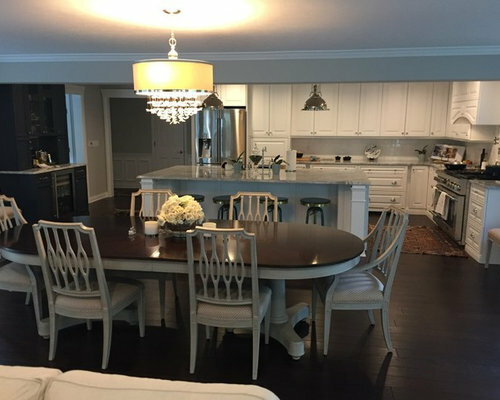 Adding on to a casual dining area and great room was all planned when I met her and I was impressed. 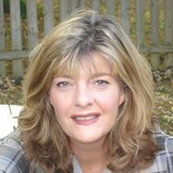 She allowed me to continue the vision and delve deep into details with confidence and trust. She always seemed to be right in step with the details I would cook up, and even when she didn't always follow what I was saying, she trusted me with her vision. That's the ultimate compliment! What resulted after a year of collaboration is a phenominal design and a great friendship. 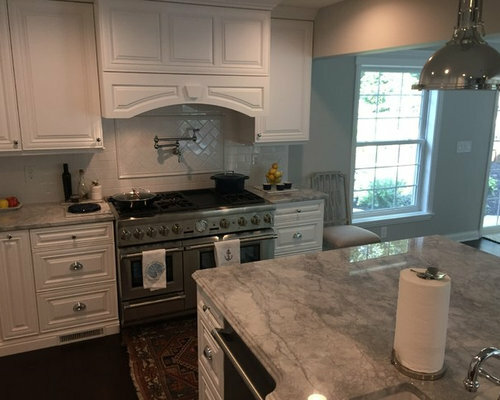 From the details in the cabinets and all the trim work to the ease of living, I can say I don't think it could've turned out better. She tells me she couldn't have done it without me, but I suspect she would have been just fine. Standing in the new casual dining area and looking back at the new kitchen, it is hard to believe this space was once the original kitchen and dining room! Notice the soffit, that's the beam for the former exterior wall. There are so many charming details and yet the overall design is very neat and clean. 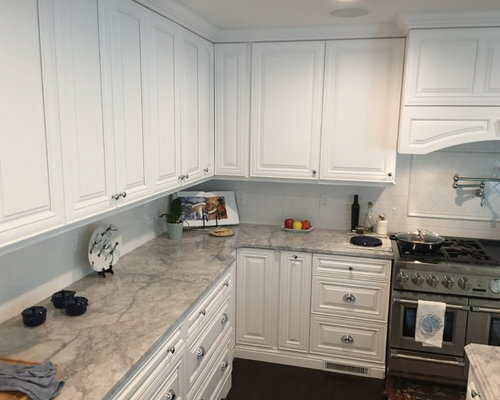 Notice how the two large drawer cabinets are pulled forward and finished with an arched valance toe so as to give them a furniture like appearance. The variety of hardware, when balanced correctly, is always a good thing. 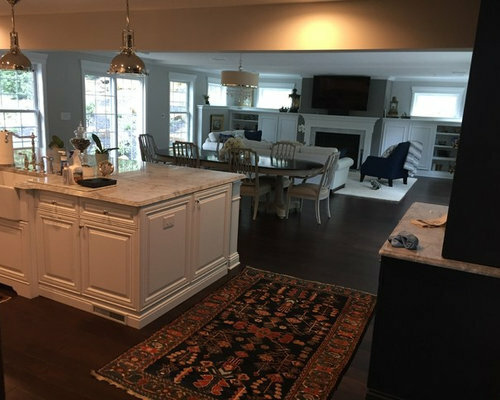 The 48" hood and Thermador Range are exactly were the sliding doors from the dining room to the screened in porch use to be. That made for a very tricky and presice in venting solution, but we got it in part because the hood box lifts for ease of install. This is the Butler's Pantry. It is right were the casual dining space once was. 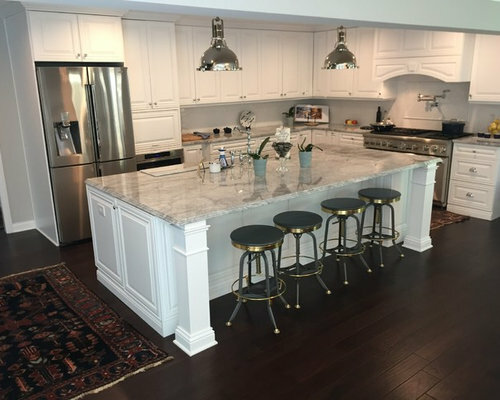 Tons of storage allow for heavy duty use, but the white and glass on the cabinets keep it light and airy. 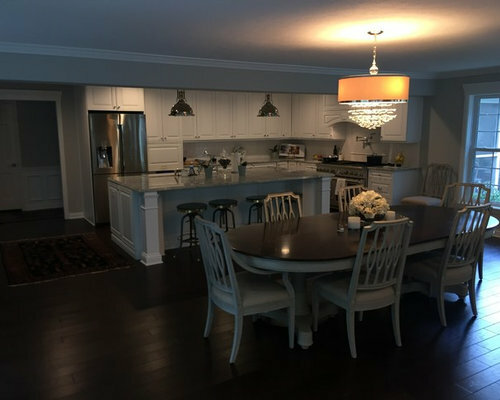 As you walk into this newly remodeled space and addition, it's hard to believe that the space before the soffit was not only the former kitchen but the dining room, too! With the space all open now, yoo wouldn't believe how hugh the island is... and that's because it's in perfect proportion to the new space. On the back wall of this spacious room is a gas fireplace an built-in that discretely house all the latest technologies and gadgets. The space is large enough for entertaining but always keeps the human-scale in mind as it's certainly a cozy space to curl up and watch the snow fall on a wintery day, too. 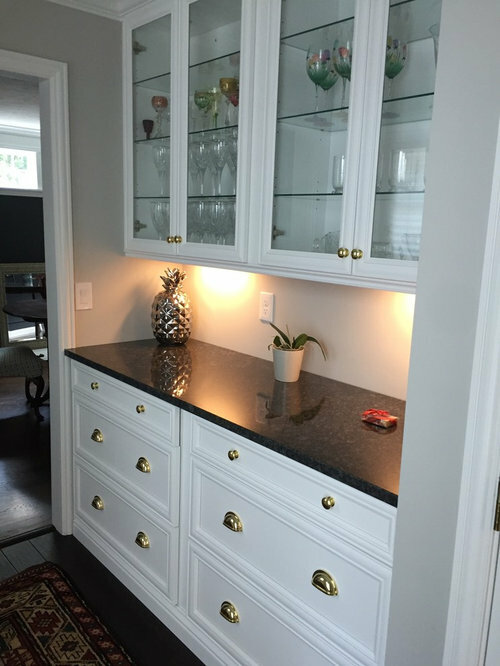 A great view of the beautiful cabinets as the space integrates seemlessly into the casual dining. A great view of the beautiful cabinets as the space integrates seemlessly into the casual dining. Notice the blue glazed beverage bar. It's fashioned to look like a piece of furniture. 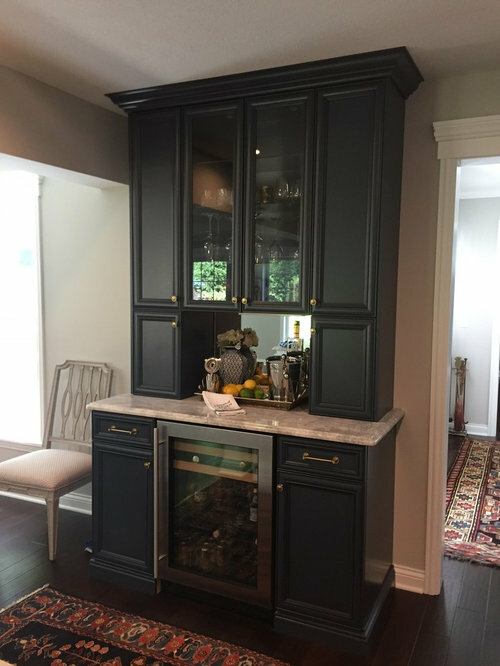 This Beverage Bar is a handsome respite and transitions nicely from kitchen to casual dining.